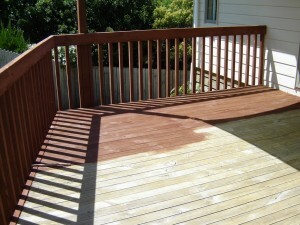 Decking really is a multipurpose outdoor surface. 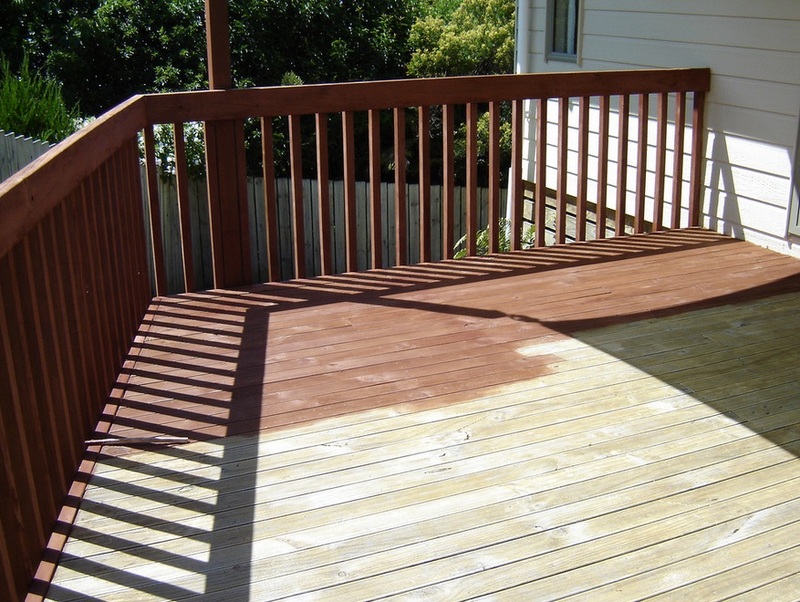 You can either build your deck as a stand-alone feature to take advantage of the gardens sunniest spot, or extend your internal floor space by attaching a deck to the front, side or back of your house. This arrangement looks fantastic when the deck is linked to the house by a set of French or folding sliding doors. Timber is an incredibly versatile and beautiful building material that works fantastically as the material to create your decking with. Decking is a multi-purpose outdoor surface that can be built as a standalone unit – or as an add on to your home that acts as a perfect area to enjoy lounging on those warm days. A decking project requires the use of quite a few materials that are readily available from RN Williams Builders Merchant in North Wales in order to result in a fine quality end product. The amount of material does of course depend on your unique circumstances in respect to size and scale. Ensure that the timber decking that you use is pressure treated for outdoor use or thoroughly soaked in wood preserver before installation. Step 1: Decide where you would like to build the deck and proceed to compress any loose soil with thumper of heavy roller. Step 2: Lay weed-control fabric over the decking site to endure that there will not be any unwanted greenery poking through your finish decking. Step 3: Lay concrete slabs at the corner and centre points of the space you want to deck to provide a solid and stable foundation to begin laying the decking on. Keep wooden frames clear of the damp ground and ensure that you check that the slabs are level. Get the level as close to perfect as possible by adding and removing slabs where necessary. You could also use wooden posts that are especially designed for this purpose. Step 4: Create a simple box frame that will allow the decking to overhang by the thickness of a board at each edge around 32mm but check the thickness of the boards you are using). Step 6: Nail joists in place – recommended to use a nail gun to undertake this part, often available for purchase and hire from builders merchant’s North Wales. Step 7: Once the main frame is complete, check its level, and if the frame needs lifting by a small amount to make it level, sections of slate or even floor tile can be added where necessary ensuring you get a level deck. Step 8: Make up or purchase some pointed stakes that fit your frame and screw them into the ground to prevent the structure moving around. Step 9: Measure, cut and fit noggins staggered along the centre line of the frame that will be able to provide extra strength. You can mitre the points where the decking planks meet with a mitre saw available from sevral builders merchants in North Wales. Lay these in positions and mark them with a pencil before you go ahead and cut at them, with 45 degrees set on the saw. Step 10: You can now begin laying the decking planks and should proceed to fixing them with two screws at each joist. Step 11: Once the decking planks are fixed, mitre the outside corners using the method described in step 9 and proceed to sand the rounded edges. Step 12: Fix a decking plans around each edge where the area underneath may be seen. The face of this plank should fit flush with the edge of the outer panels and create a neat finish. Step 13: If there is a big drop onto the ground, you can easily add a step by making up a framework wide enough to take two decking planks. You are able to face the vertical part of the step with decking while reducing the width of the frame by the thickness of deck plank that you use. Proceed to level and fix the frame all around the deck. Step 14: Make up/ purchase stakes and hammer them in place to secure the framework before you finally finish by mitring and laying the decking planks and adding screws to each joist. Screw decking panels to the front face of the step to create a neat finish. With many young people turning to trades and with over 400,000 veterans looking to retire from the industry in the next 10 years, there could be no better opportunity to get involved whether you’re an architect or a roof truss builder. This goes hand in hand with the Conservative initiative that promises to promote affordable living to new homeowners and plenty of opportunities for burgeoning tradesmen to learn their craft. The representative for the Home Builders Federation, Steve Turner, said, “We’re building 115,000 homes a year and we’ve got to increase that to 220,000 to hit government targets. Recent surprising statements have indicated that bricklayers could earn around £40,000 a year as demand soars – a stark contrast from the pittance some people think they’re on! Couple this with the stabilisation of the recession and you’re looking at a brilliant financial upturn. There are many venues that you can explore to assist you with your learning with some people opting for college-based tutelage. Here, you can enjoy plenty of expert teaching over the length of your course and when you leave, you’ll feel like you know all there is to know. However, for the best representation of what your site experience will be like, sector professional advise learning on the job as part of a training scheme. In this, you can discover your passion and surge ahead of the competition with your expertise as you put one foot on the ladder. You can do also both at the same time with industry guru, Jeff Fairburn, saying, “I started work on a Youth Training Scheme as a trainee quantity surveyor at 17, working alongside tradesmen, helping out on site, doing manual work, getting valuable practical experience,” after also having his A-Levels to contend with. So, if you’re contemplating a career in construction, there doesn’t seem to be a better time to put your hard hat on.